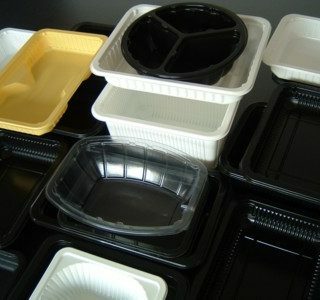 Clear plastic or printed containers for a variety of food products. 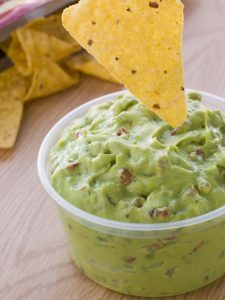 Deli containers are popular for hundreds of products such as salads, fruit, sauces, dips, salsa, guacamole, hummus, and deli items. 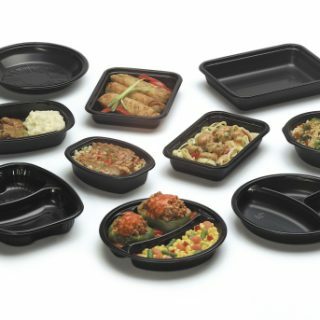 These containers are made of durable microwavable polypropylene or crystal clear PET for excellent appearance and performance. Our lidding films offer an excellent peelable seal or even a stronger weld seal. Please contact us to find out what other shapes, sizes, and strengths are available or for a quote on a custom size or shape. Cups are of course a natural when it comes to drinks. When combined with our lidding film, the result is a completely airtight, spill-proof, tamper evident package that won’t leak even when dropped. When the consumer is ready to drink, a straw simply pops through the film. 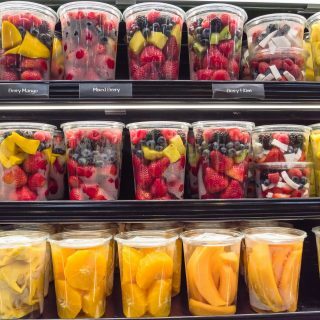 Of course, our peelable films work great as well, especially when packages food or snacks like nuts, trail mix, candy, chopped fruit, or yogurt parfaits. If you choose several cups sizes with the same rim size, often these can all be sealed with the same Teinnovations sealing machine with no adjustments at all. To accommodate more than one rim size, additional tooling is available. Please contact us to find out what other sizes and materials are available.